Stock Number: S1006C, Price: $ 125.00. 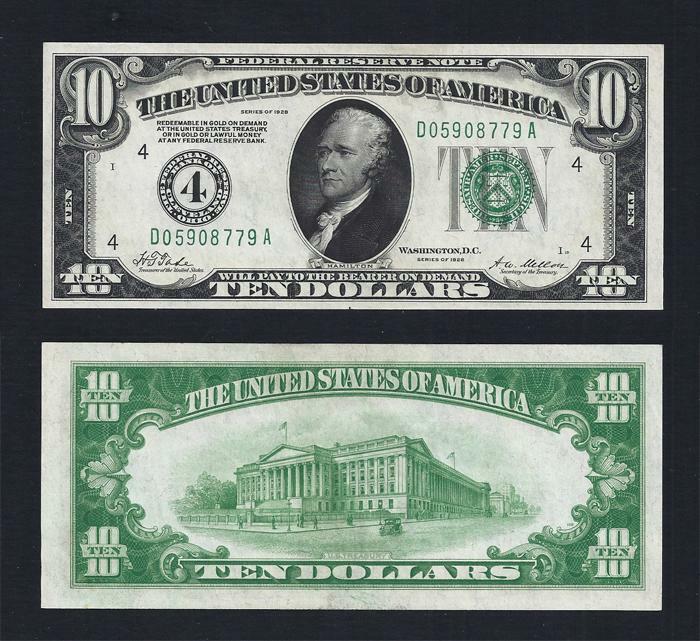 $10.00, FRN, Series of 1928, Fr. # 2000-D, Serial Number D05908779A. CHOICE UNCIRCULATED. Dark black ink and a dark green seal on the face of this Cleveland Fed. The centering is shifted slightly to the left so we are calling it Choice instead of gem uncirculated. Attractive note.